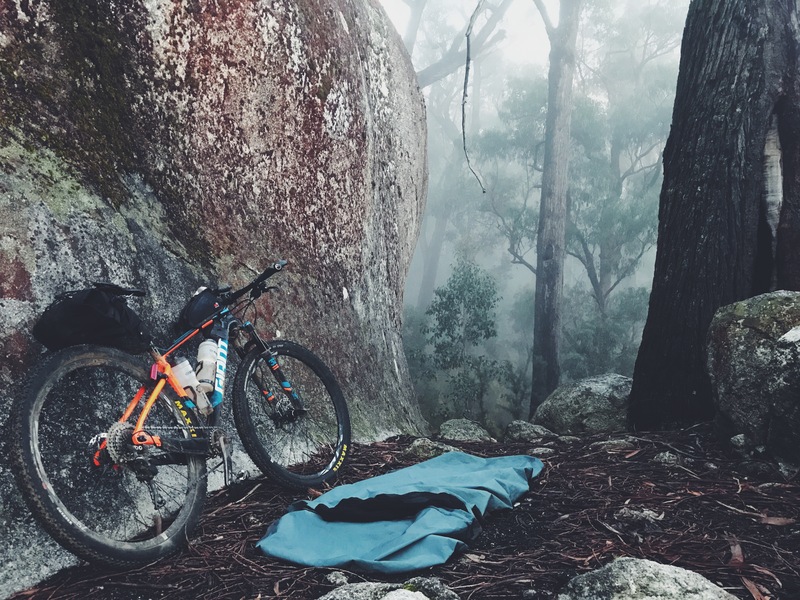 Melbourne Randonneur’s Searching For the Bunyip is a 100km route and the first in their mixed terrain series. I rode the event last year and had a tonne of fun, I wasn’t going to miss it this year. 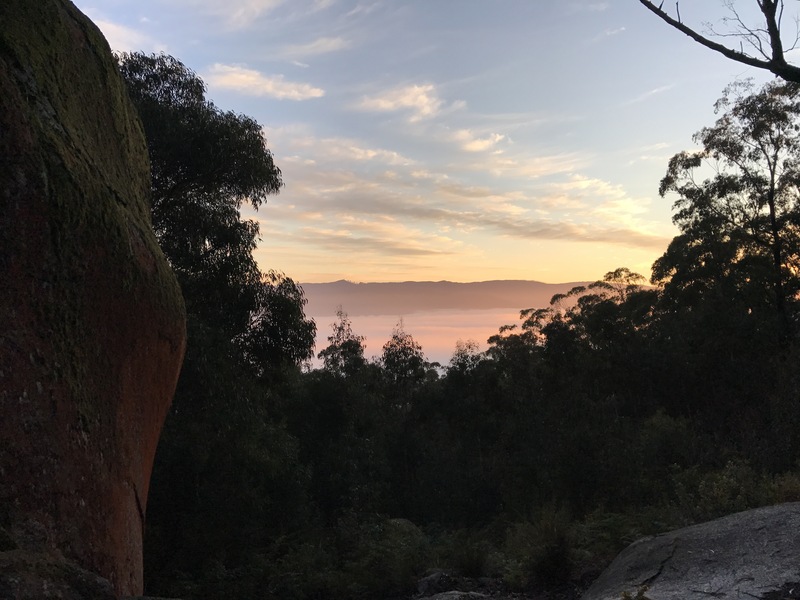 Last year the ride started in Pakenham and a group of us commuted the 80km out, but this year with the location bumped to Bunyip township it was a little to far. Instead, still in the spirit of a bit of adventure Ben and I decided to head out the night before for a bivy in the state park before a shorter commute to the start in the morning before the ride itself. Straight after work on Friday night we jumped on a train to Nar Nar Goon where the fun began. After testing out a couple local potato cakes in town we rolled off north along some quite farm roads in the last of the evening sun. We started climbing gently up into the forest along Pooley Rd. By the time we hit the crest of the short ascent enough for the light had faded from the sky to turn our lights on before the ensuing descent. We continued into the night and encountered a pretty pinchy climb along Link Rd that, although not particularly long caught as a little off-guard and made us work for our bivy spot. Atop Windy Point, we continued along the ridge on Burgess Rd a short while until we reached Four Brothers Rocks. We rolled down between the massive boulders and as the ridge dropped away in front of us the just risen full-moon presented itself, framed perfectly between the last boulder, a massive tree and just above the far ridge across the valley. Between the biggest boulders was a great spot to bivy; flat, mostly sheltered from the wind and still offering a great view down to the valley below. After a quick meal, we both slithered into our bivies to settle down for the night. 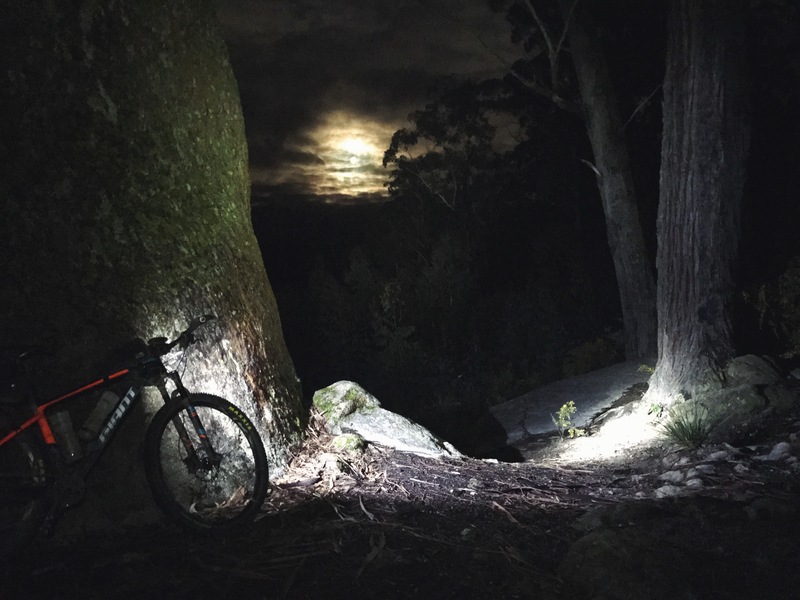 We were shortly joined by Gary who had ridden out from his work in the eastern suburbs and across the Dandenongs to intercept us. The morning brought heavy fog, which dropped away into the valley just in time to treat us to a perfect sunrise before rising again shortly after. We were packed and rolling quickly in order to make the start of the ride. The three of us made light work of the traverse along the rest of the ridge, taking in the morning sun as it diffused perfectly through the fog. 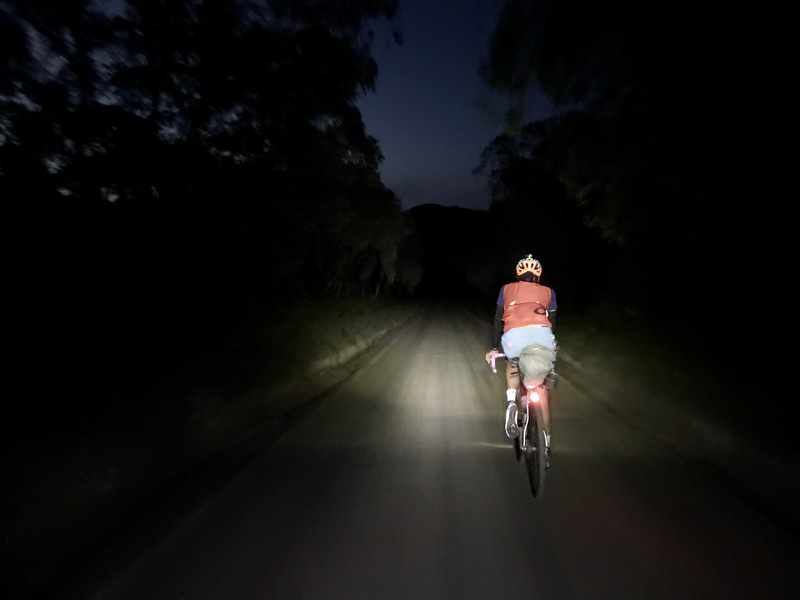 A steep and technical descent down Mulberry Track delivered us to Gembrook-Tonimbruk Rd and we commenced our time-trial along the road into Bunyip. We had enough time for a quick coffee, a second breakfast and a bit of socializing before rolling out with the first wave of riders. 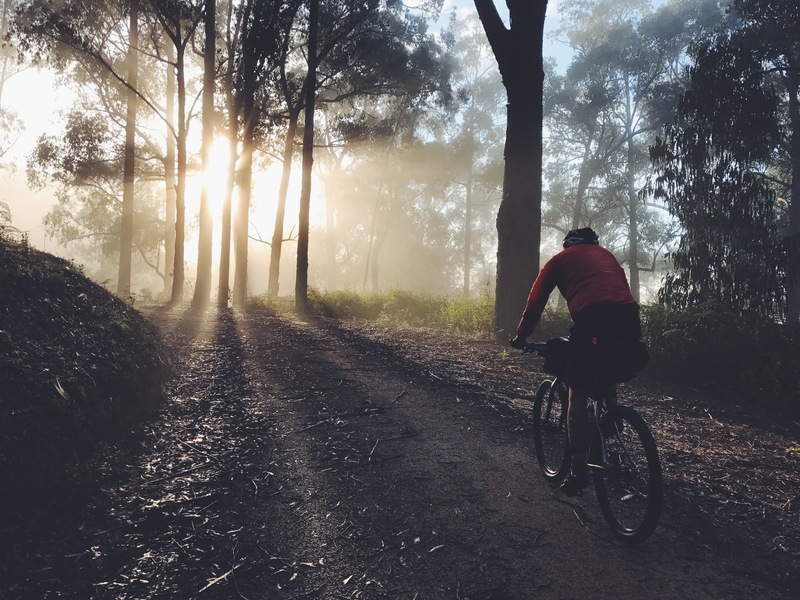 I was on my mountain bike, still carrying bivy gear and had fun trying to keep up with those on road and cross bikes which were more than adequate for the excellent gravel and short stints of sealed road. 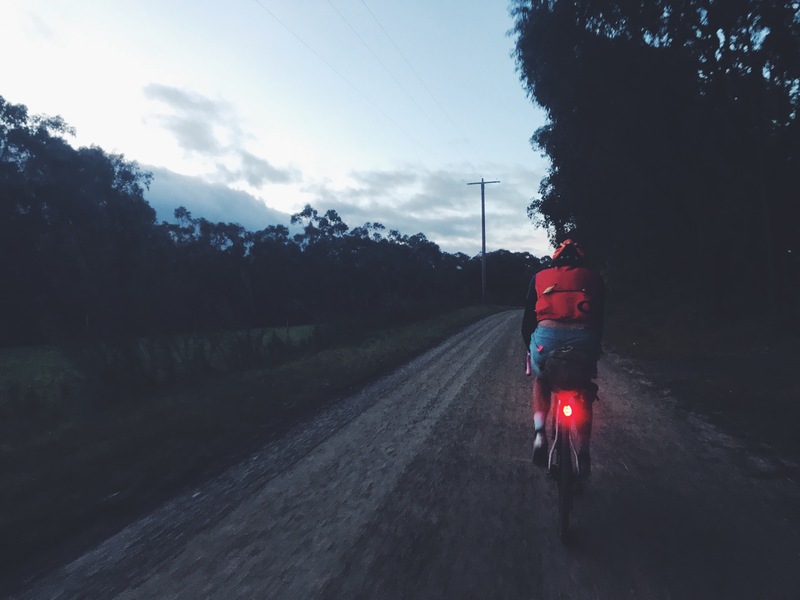 The route takes in some of the best riding within a 100km of Melbourne. It heads north out of Bunyip before looping west and climbing up into Gembrook about a third of the way through. Then meandering back towards but not quite reaching Pakenham with the descent along Bourkes Creek Rd being a highlight. The last stretch back east and behind Mt Cannibal kicks you with a couple of nasty pinches just when you think you’re almost done and can relax. But it’s all well worth it when roll back into Bunyip and get that final stamp on your Audax Card. I’ll definitely be looking forward to the 200km Grand Ridge Road Randonee; the next ride in the mixed terrain series. Link to Day One Strava here. Link to Day Two Strava here.